On an excellent location in the Archipel district situated spacious four room apartment with spacious balcony on the fourth floor. 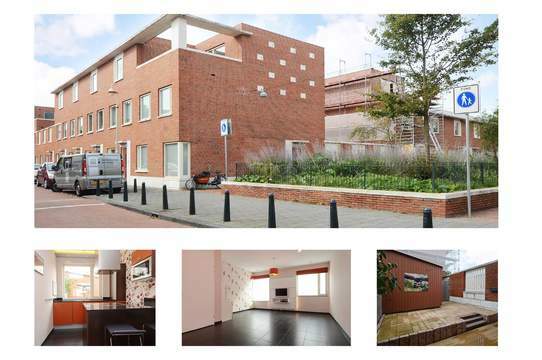 The property is part of the Parthenon/Pergamon apartment complex built in 2001 on Burgemeester de Monchyplein. The property has its own parking space in the parking garage below, where also the storage is located. This bright apartment is located on the fourth floor and offers a beautiful view. Very centrally located in the immediate vicinity of the shops/restaurants on the Frederikstraat, Bankaplein & Bankastraat and close to the Peace Palace. Near Shell, UN and other international companies & supermarket. The accessibility is excellent; the main roads (A44, A4 and A12) can be reached within a few minutes. Public transport and Central Station are also within easy reach of the residence, as well as the city center. Lay-out: Common and well-secured entrance, closed connecting door, hall, elevator to 4th floor, spacious hall and access to the apartment, hall / corridor with toilet with fountain, bright living / dining room of approximately 6.95 x 5.35. with unobstructed view, open kitchen of approx. 2.17 x 5.35 with built-in appliances such as dishwasher, combi oven, fridge and freezer, spacious hall, storage cupboard with washing machine connection and central heating system, left bedroom of approx 3.93 x 2.62 with access to balcony, intermediate master bedroom with sliding doors to balcony of approximately 3.93 x 4.14 and to the right another bedroom of approximately 3.93 x 3.10, bathroom with bath, washbasin, design radiator and toilet of approximately 2.15 x 3.10. There are also two spacious cupboards in the hallway. In short, a wonderful apartment in the beautiful Archipel. Your buyer’s agent will represent your interests and can save you time, money and worry.